Update: It appears as if this will also apply to Europe, according to a listing on Amazon. There is an ongoing trend where certain publishers don't want to fork out the extra coin for proper physical releases on Switch. The European and North America physical release for Final Fantasy X | X-2 HD Remaster is somewhat of a nightmare, with the box art ruined by a warning label and no option but to download the second game. We've seen this sort of thing happen time and time again since the Switch launched as developers and publishers try to cut the costs of production. This latest finding by the lovely folks over at Vooks.net is another level, though. We recently saw the publisher PlayIt launch a budget physical line in the UK, which seems like a smart way to promote lesser-known titles at an affordable price. 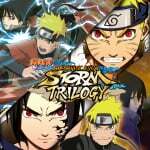 In the case of the Naruto trilogy, you would think Bandai Namco might have actually considered releasing the game in physical form down under, for anyone who did want to save some space on their internal storage or SD card. As Vooks notes, this trilogy has only just missed out on the standard 16GB card because it is 18GB. In Japan, this three-in-one collection is of course on a single game card. The main difference is the Japanese version only contains limited language support, whereas the European and Australian versions covers French, German, Italian, Spanish, Russian and English support. I just wanted to post that first bit. I can see why people think everything in Australia is upside down with these kinds of decisions. Wow, what's the f***ing point of physical then? Just have the languages as optional downloads. I see Reggie coming...."PC-habbits, now for you on Nintendo Switch." Wow. That's definitely impressive in its own way. If I cared for the game I would certainly be annoyed. there is no point in this release at all, they should have put it on the eshop and called it a day, this is just a waste of time. at some point imo I see the switch becoming digital only with limited physical releases, this just gives me and others more insentive to buy any 3rd party releases on other platforms that actually provide a physical release. @Expa0 I'm sure they are, especially with the prices that the Australians have to pay for games over there, publishers are just taking the mick out of them. All they had to do was charge an extra $10 or $20 and include all three friggin' games on a single friggin' cartridge. I'm sure few would balk at paying $100 for three games that can be played instantly, without instalation, on a portable device. @GyroZeppeli : One Piece Warriors was issued a retail release in Australia and Europe. @Silly_G Thanks, didn’t know that. That just makes it dumber that they released it everywhere but the Americas. Imagine getting the three codes but none of them works, that would be terrible even worst than the Bayonetta 2 situation. Excuse me while I travel all the way to game shop to buy a digital game in a box that I could download from home... because I'm stupid, like this code in a box concept. Next thing you know, they will add a shipping cost and 1 week delay to digital purchase to make everyone happy. There must buy a new guy making decisions high up that's new to gaming. This is just bloody ridiculous. Who is making these decisions? ITS NOT PHYSICAL!! Well, it's a piece of paper but COME ON!! NAHruto, am I right, folks? It’s all BS to save small amounts of money. If you object to it, don’t buy it. If you do, it’s only going to encourage the practice. 'Three Download Codes' makes a nice headline, but doesn't the screenshot just say 'a code', singular? Also, according to the JP eShop, the JP release also includes Chinese. If is the same price as digital theb what the heck is the point to selling a "physical' copy in the first place?! I mean i guess some Naruto fans would buy since they technically kinda getting the empty box as a bonus for going the extra mile but still, this physical box with digital code inside nonsense needs to stop, it defeats the whole point of saving space in our systems and physical games collectors such as myself are not happy with this bs! This is not due to the size of the language files. That would be too easily overcome via dlc. This is purely bs. Damn, we all know Nintendo Life posted this just to get some salty, entitled fanboys having a whine about a first world problem. Who cares? Don't buy it, buy it, just do you. @bluesun Thanks, I've updated the post. They were never gonna use a 32GB cart. Dunno why people are still surprised about this. What they should have done is have first two games on cart and 3rd on download. People still would have moaned though. I hope they start doing this for every game on Switch. Love the boxes, but the carts are so small nowadays. I lost like 5 games last year by accident when i left my case on the train. Never buying a physical cart again! Obviously it was super unlucky and my fault, and last time I lost a game was years ago, but still that was like £250 down the drain. I just want to remind you that the box costs around $1. Bwahahahaha! Bring on the glorious and inevitable, all digital era! 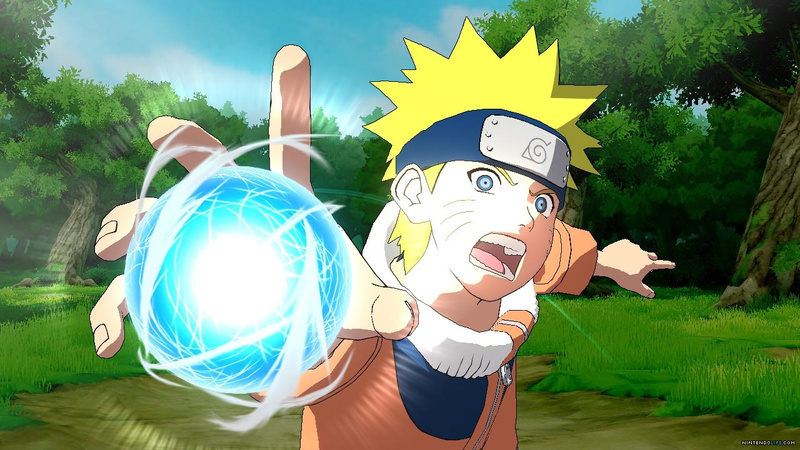 Even though i'm not a Naruto Fan this whole situation about download codes in retail games gets worse every day. If you prefer digital games and want you're entire game collection to be download only that's okay. Still there are many players who prefer physical releases because they like to collect games, want to trade them with a friend or simply want to save space on their SD card. So what's the point of a physical release that contains absolutly no physical game? I can understand if small developers go this way, but in this situation we're talking about Bandai Namco. They could have used a bigger game card, but decided to cheap out and act like "No, we can't afford such a large Switch game card, let the customer buy some extra storrage space, that's not our problem". For me this is the absolute worst in terms of physical releases. Biggest entertainment industry by a mile making loadsa dosh. Keeps making everything cheaper for themselves and provides less content while public gobbles it up. @nate83km discussion/opinion - Entitlement. Different kettles mate. @Nagi_Nagisa I agree with you. For a company like Bandai Namco that has millions of dollars, this is a greedy act. I didn't know this was getting a "physical" release in the first place. It came out on the eShop ages ago. A while ago, Capcom released Ducktales as a case with a download code. Eventually they rereleased it with a disc. I wish Bandai Namco would stop being so stingy and just use a 32gb cartridge. No one despises digital games more than me. Let's hope for an Asian version at least. "Update: It appears as if this will also apply to physical copies in Europe"
It's either one or the other, no? Wait, so this is an article about a digital-only offering within a physical case? 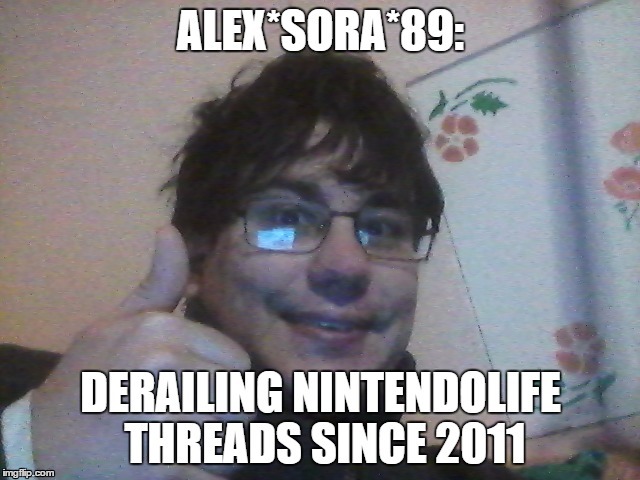 On NintendoLife? Better get what I need to witness the discussion unfold. Aaaaaaaand the first comment beat me to the joke. It says a lot, really. What's the point of the case then? Display purposes? A storage option for that used Switch game you picked up on eBay? Recycling? Target practice for the physical-only purists, I guess. This thread is now about target practice. You wearing Majora's Mask really did a number on your comment, ya know. @AlexSora89: Not gonna lie, I'd love to see a HD remaster of MM. I'm playing it for the first time on the 3DS and love it! Me too, but I got kind of stuck when I got to Great Bay and my goldfish-level attention span put the game in eternal backloggery ever since. Owning a Switch didn't do my backlog syndrome any favours. @AlexSora89: That's why you think outside the box! This is beyond idiotic. I didnt buy the game yet since I waited for a physical copy but this? Still not gonna buy it until they put it on cards. Also, why isnt the 4th game part of it? Seems pointless. I thought the "trilogy" part of the title would have tipped you right off. @AlexSora89 @ogo79 They don't get boexier than this comment section! Wanna get boxier? I learned of Sokoban's existence through one of its clones, Peter Box. @LuciferOnReddit because the 4th game hasn't been released on the Switch? Seems simple enough to me. 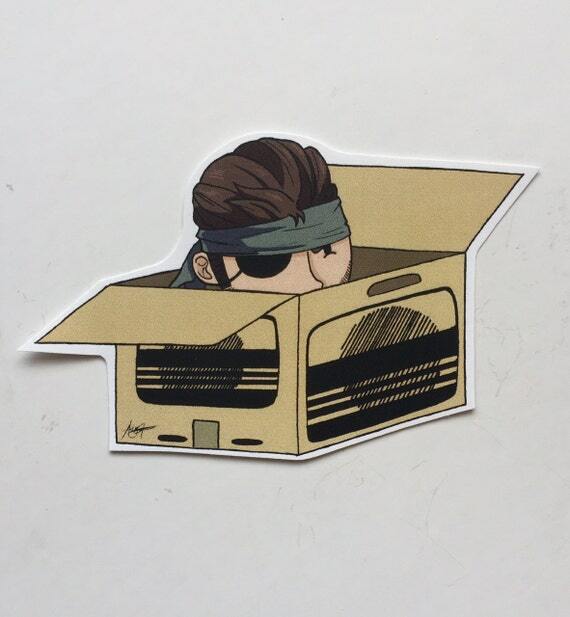 @AlexSora89: That clone brings to mind a box-themed Peter Pan variant. Which would be...boxey. Boxier? boexes...they came to me in a dream...there were these clear boexes full of money floating over my head and i couldnt open them because they had locks on them and i didnt have any keys...but i could see all the money inside. it was a tease. on these boexes it read "wish you were here, sincerely the legion of metal"
@ogo79 Boexes are the new unobtainable money trees?